Earlier this week, Lily Katz at Bloomberg reported that the GTI VERA Convergence Divergence Indicator suggests the Bitcoin downtrend is over. Experts have echoed a similar sentiment, expecting the bear market of the dominant cryptocurrency to come to an end in the upcoming months. According to Katz, the GTI VERA Convergence Divergence, which analyzes trend reversals and exhaustion with the traditional Moving Average Convergence Divergence (MACD) has historically been an accurate indicator or long-term trend reversal. For instance, earlier this year, when the GTI VERA Convergence Divergence signalled a trend reversal, the price of Bitcoin surged 39 percent the very next month. In an interview with NewsBTC, Yoni Assia, the CEO at leading multi-asset trading platform eToro that has more than eight million users, said that the correction of Bitcoin in 2018 was healthy for the long-term growth of the crypto market. 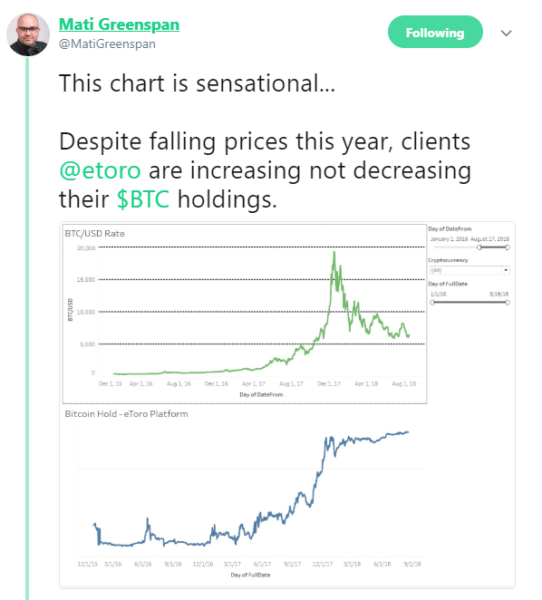 More importantly, as Mati Greenspan said, a senior market analyst at eToro, the demand for Bitcoin at large cryptocurrency exchanges and trading platforms has not declined throughout the bear market. 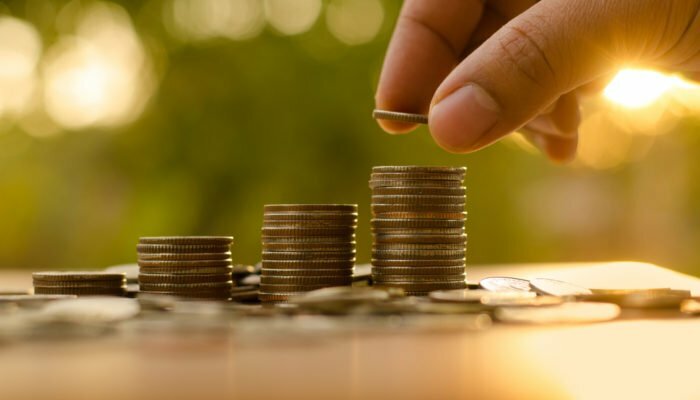 On CNBC Crypto Trader, during an interview with Ran Neuner, ShapeShift CEO Erik Voorhees also shared his optimism towards the trend of the cryptocurrency market, noting that while the bear market of Bitcoin could continue in the short-term, the lower price range presents a decent opportunity for newcomers to buy into the market. Due to the sheer scale of the drop in the price of major cryptocurrencies, it may require a few months of stability and volatility in the $6,000 to $9,000 region before initiating a large rally on the upside. But, most analysts and investors generally agree that the bear market is gradually coming to an end, with demand rising from investors in the broader financial market. “I don’t expect it (bear market) to end soon, although I do think that the rate of collapse has slowed considerably. Generally in these bubbles, after you go through several months of a downtrend you hang out in a range for a while… But I think we are done with a majority of the collapse,” Voorhees said. Earlier this month, NewsBTC reported that despite the bear market, cryptocurrency exchanges have been demonstrating large volumes and high profit margins, luring in companies in Wall Street and the traditional finance sector into the cryptocurrency market. UPbit, South Korea’s biggest cryptocurrency exchange, which suffered the most in the 80 percent correction of 2018 due to the 30 to 40 percent “Kimchi Premium” in the cryptocurrency market of South Korea, has recorded a profit of $100 million in the third quarter of 2018. With solid volumes of cryptocurrency exchanges and demand for digital assets still in tact, a recovery by the end of 2018 is becoming more likely.